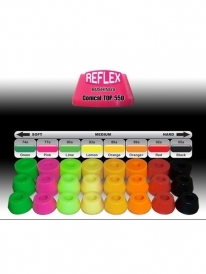 Made from the same high-rebound Reflex Formula urethane as the world's best wheels. With conical and barrel shapes and eight different durometers you can totally dial in your trucks. 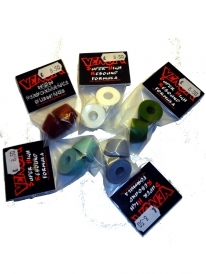 Feel the difference with our Reflex Formula and never go back to the cheaper stock bushings again. 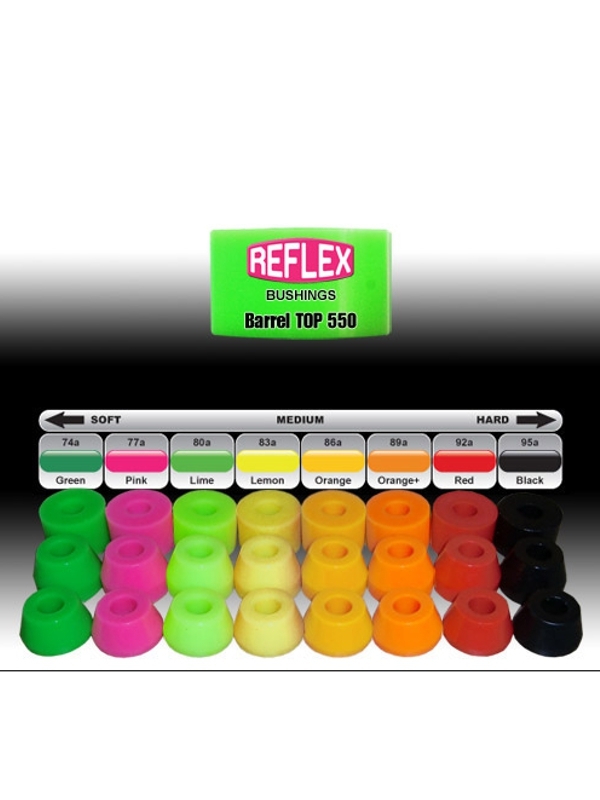 Reflex Bushings now come in NEW SIZES. On most trucks we recommend using a combination of a TOP-550 (Conical or Barrel) on the Top and then a BTM-650 (Conical or Barrel) on the Bottom. The 750′s are extra tall and are used on high-end trucks like Frye and Liquid. 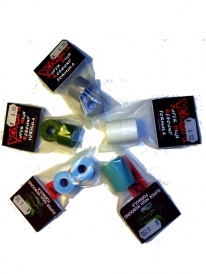 These tall .750″ bushings require longer kingpins and allow for an incredible range of articulation.